If you drove through the Camden County borough of Lawnside, you'd be excused for thinking it's no different from any other small town in New Jersey. The typical appearance of its shops, schools and modest homes belie its history as the first independent self-governing African-American community north of the Mason-Dixon line. According to the Encyclopedia of New Jersey, people of African descent began settling in what's now Lawnside in the 1700s. Both freedmen and escaped slaves were drawn to the community, and as the anti-slavery movement grew, Philadelphia abolitionist Ralph Smith began purchasing land in the area. To encourage further settlement in the place he called Free Haven, Smith divided the acreage into lots and sold it to blacks at reduced prices. When a group of former slaves from Maryland joined the community, it became known as Snow Hill, after their former home. The current name of Lawnside was coined in 1907 when the Pennsylvania and Reading Railroad built a station stop there. All the while, the community was part of the larger Centre Township, with representation on the town council. As it grew to have its own school, churches, shops and distinct culture, it was clear that Lawnside should stand on its own. 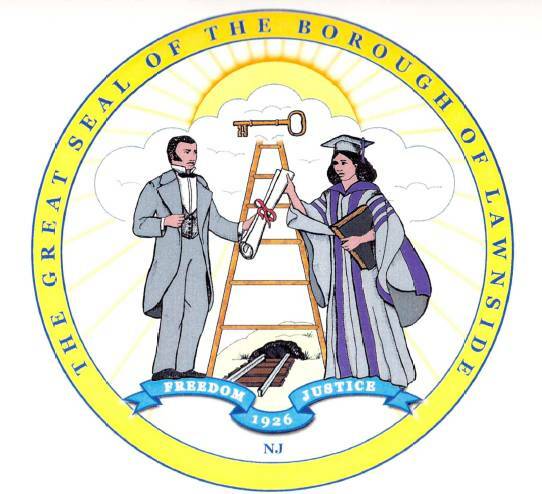 Through an act of the New Jersey Legislature, Centre Township was disbanded and Lawnside officially became a borough in 1926. 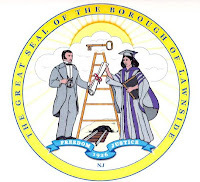 To this day, Lawnside's population continues to be predominantly African American and extremely proud of its heritage, as evidenced on its borough seal. Considering its roots, it's not surprising that the community that became Lawnside made its own contributions to the freedom effort. Nearly fifty men joined the Union Army during the Civil War, likely in the 22nd US Colored Troops that mustered out of Philadelphia. 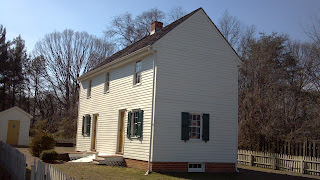 The hamlet was also a stop on the Underground Railroad, and its respected resident minister an agent. Preacher Peter Mott's house was the station, and it's been restored by the Lawnside Historical Society. When I drove into town, I saw brown historic signs leading to the house, and I wasn't sure what to expect. Over the years, I've come to accept that historic sites aren't always in central locations or even where it might seem logical. Sometimes 20th century development pressures have transformed the acreage around an old farmhouse into the site of compact tract housing. That's what I found when I pulled to the end of a townhouse-lined cul-de-sac to find the Mott farmhouse. Not far away, behind a buffer of woods, traffic on the Turnpike whizzed by. Clearly, a lot has changed since Mott and his wife Eliza bought the property from prominent African-American dentist and Underground Railroad conductor Jacob C. White, Jr. in 1844. The house is only open on Saturdays, so I wasn't able to go inside, but an informative sign related the facts that local historians have been able to glean about Mott and his property from census records. Listed in 1850 as a laborer, Mott apparently was well-off enough to build a two-story house and hold property worth $600. A respected member of the community, he founded the Sunday School at the Snow Hill Church, which is now known as Mount Pisgah A.M.E.
As I left town for other adventures, I realized that the completely typical appearance of Lawnside demonstrates the success of its founders' vision. More often than not, when people seek equality, they're just looking for the same chances everyone else gets, no more, no less. When it came to Free Acres, it was a place where free-born and formerly enslaved people of African descent could establish a home and raise a family in peace.